When your personal injury claim goes to trial, having the right expert witnesses can be one of the most important aspects to the success of your case. An expert witness testimony during litigation can mean the difference between case dismissal and case victory. The right expert witness can be a major asset for your personal injury claim as they have the knowledge that is necessary to sway the judge and jury in your favor. Essentially, an expert witness could be the determining factor in you achieving compensation for your injuries. An expert witness is a professional who possesses a form of specialized training, knowledge, education, or experience about a specific subject matter. They are called on in a case to present their knowledge to back up a claim. An expert witness testimony is especially helpful in cases where there were no eyewitnesses present at the scene. Experts will be able to conclude how an accident occurred and how it caused someone injuries. With the use of computer and physical models, an expert witnesses testimony can be an essential aspect in proving damages in a personal injury case in Bakersfield. What Type of Expert Witness do You Need for Your Personal Injury Case? In personal injury cases where a person misses time from work due to their injuries, they may be entitled to wage loss compensation. When a person has an irregular wage, an economist may be helpful in determining lost wages and future loss of income. A vocational expert could be used to testify for a person’s damaged earnings capacity or inability to hold the same job as a result of an accident. When liability is in question in an accident case, a certified accident reconstructionist may be able to identify how an accident happened and who was to blame for it. Healthcare providers are useful for testifying about the cause and extent of an injured person’s medical conditions following an accident. They can also be used in situations regarding permanent injuries and whether or not a person will require additional medical procedures in the future such as injections or surgeries. In personal injury cases involving truck accidents, there are a lot of factors that differ from normal car accidents that need to be considered. Because the complicated regulations surrounding the trucking industry differ so much from normal motor vehicles, experts in these areas often need to be consulted. Problems can still arise with even the most qualified professionals. For example, some of the most highly trained professionals and specialists can be terrible at communicating complex topics to those who don’t understand them. Because the goal of an expert witness is to communicate complex topics to a judge and jury in layman’s terms, good communication skills are a must. An experienced witness is a major asset to a personal injury claim. 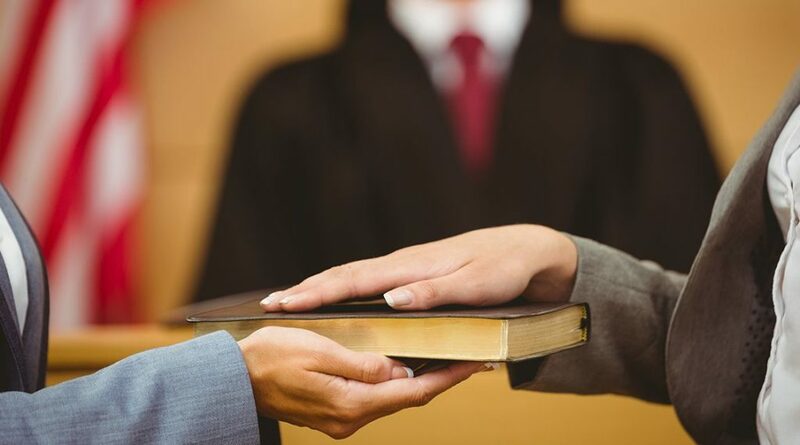 One who has testified in court before can be very advantageous to your case because they will know the litigation process, how to communicate to juries and will be prepared for tough cross-examinations. Mickey Fine understands the nuances of researching, finding, and preparing the expert witnesses who are best suited for your personal injury case. Mickey Fine will prepare expert witnesses effectively and will work to ensure that they know the details of the case so they can give impartial, factual answers to the questions they are asked. What is important to remember is that it is not the job of an expert witness to agree with everything that an attorney says; rather, it is their job to simply provide facts to support a case. Depending on the facts and evidence surrounding personal injury cases, fault can prove to be difficult to prove. Expert witness testimonies are often necessary for the injured person to maximize their compensation. The personal injury lawyers at The Law Offices of Mickey Fine will be able to interview witnesses and retain applicable expert witnesses to maximize the value of your personal injury case. Contact us today to schedule a free initial case evaluation.